SPECIAL! 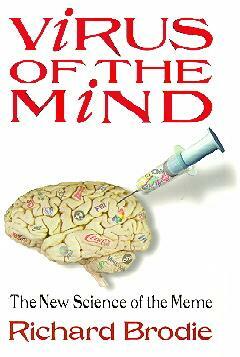 Start reading Virus of the Mind on line right now, FREE! Over a year on the Amazon.Com bestseller list! Brodie would say the impact will be at least as great. While atomic bombs affect everybody's life, viruses of the mind touch lives in a more personal and more pernicious way. Richard Brodie was Microsoft chairman Bill Gates's personal technical assistant and the original author of Microsoft Word, one of the world's best-selling computer programs. Educated at Harvard, he is the also the best-selling author of Getting Past OK. An accomplished speaker, he has appeared on more than 80 television and radio shows including two appearances on Donahue and NBC's Today. He can also be seen engaged in his hobby, playing the major televised poker tournaments. © 1996-2006 Richard Brodie. All rights reserved.